Hipster University is pleased to announce it’s annual Fall Student Involvement Fair! It will be held Sunday, September 21 outside the Strokes Student Union. The Dollar Shave Club will be on hand to provide free razors and shaving butter to all those in attendance! Additionally, everyone’s favorite consignment and vintage furniture shops, “The Way We Wore” and “Junk and Disorderly,” will be on hand with their latest wares including Holly Hobby lunchboxes and a vast selection of cassette tapes discarded from local radio stations. Campus bands including, “This Charming Band” (The Smiths cover band) and “Hüsker Dön’t” (Bob Mould cover band), will be playing throughout the day. Our very own lesbian student art performance group, the only one in the country, “Meow Mix,” will be debuting a piece throughout the day, reading from the 1973 Sears catalog to bring awareness to the dangerous rise of globalized consumerism and the humanitarian crisis in Burkina Faso. The Campus Activities Board will also have a booth called “CAB4cutie” that will allow you to take selfies with our very own 1939 Rolleiflex camera. Additional artistic filter choices will be provided to ensure you get the right washed out and aged look you want in your photographs. Local coffeeshop “Brewed Awakening” will be offering fair-trade Nutella Lattes. The uptown Middle Eastern restaurant “Just Falafs” will be serving up 100% vegan falafel balls. “Aesop’s Tables” will be on hand providing Greek themed cuisine. Have your hand, beard or other appendage immortalized in wax! We’ve partnered with a local commune in Oregon to provide us with organic bee-senstive bee-positive wax infused with scents of lavender, verbena, and other essential oils. 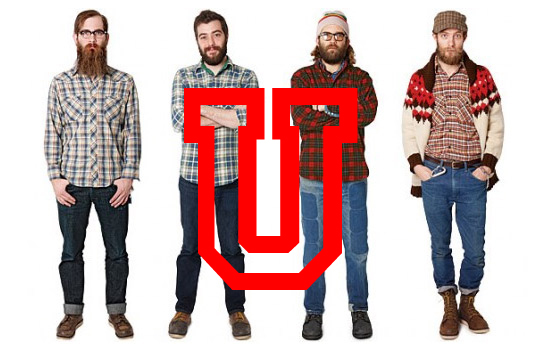 This keepsake will be a reminder of your time at Hipster U. until it melts on your dorm radiator come winter. Experience the natural wonders and ancient tradition of Chinese sand art. Our vendor will be on hands with artisinal sands from across the world so you can create your very own creation just like you did when studying sedimentary rock in 9th grade Earth Science. Experience the wonder as you stare at it for hours from your computer desk. Just keep that crazy girl, Deborah from down the hall, away from it. She’ll inevitably shake it and ruin its ability to regulate your chakra. Stop by our table to pick up your “HipU: I’m Involved by not being involved” flannel shirt. These shirts are sourced from 100% hemp, grown on our University farm, and designed and hand drawn by the student art group, “D’Art Vader.” In order to get this limited edition t-shirt, make sure you stop by each student club and org to get your passport stamped. Free recycled water bottle ponchos will be provided to everyone in case of rain.